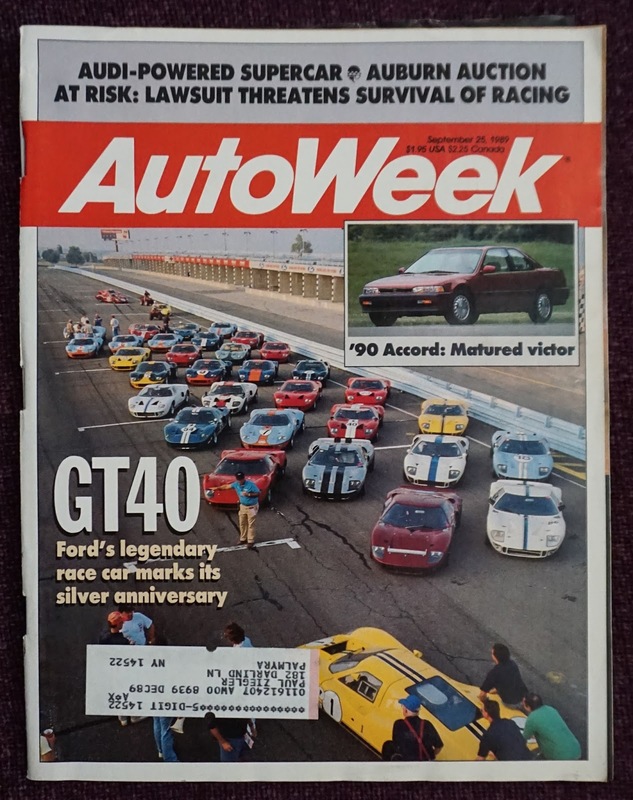 Many of you may be too young to remember the excitement of the Ford GT 40 when it took the racing world on, as in Ferrari in the early 60's. It was born to win Le Mans and it did, thus the legend that lives to this day. 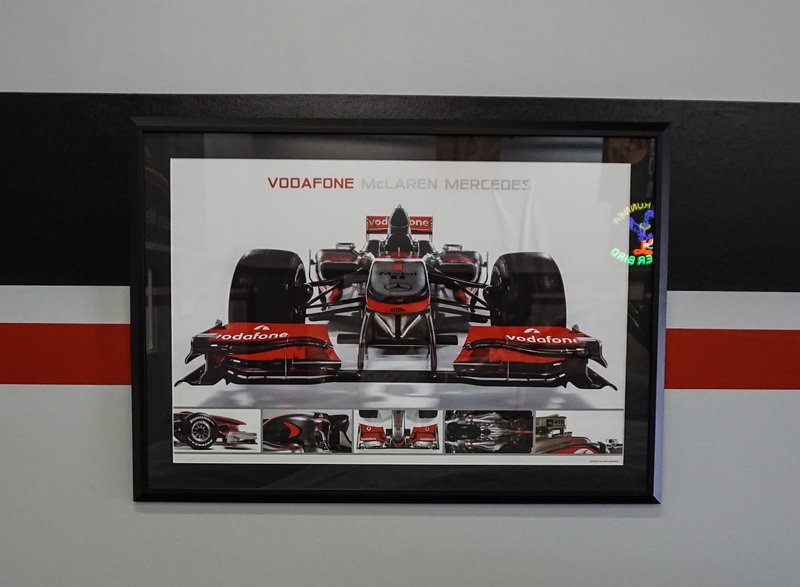 We are in for a treat as it is officially back for the 2016 racing season so keep watching my blog for updates. 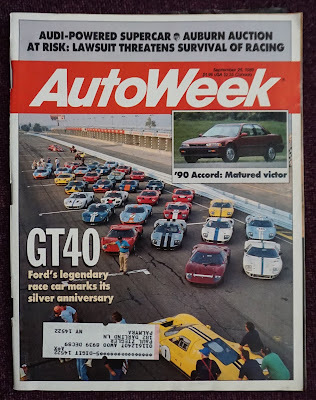 In my most recent trip to our upstate New York home I ventured down to the basement archives on a cold January day and found a gem of an old Autoweek issue from September 25, 1989 featuring a story about the GT 40's 25th anniversary party at my home track, Watkins Glen, NY. This was not just a gathering of old friends, it was a gathering of some of the world's best drivers including six time Le Mans winner Jackie Ickx, along with Stirling Moss, Brian Redman, and Bob Bondurant to name a few! And the star of the party, the GT 40 was well represented with almost a third of all the GT 40's production run present! An incredible confluence of drivers, cars and fans that will probably never be duplicated. 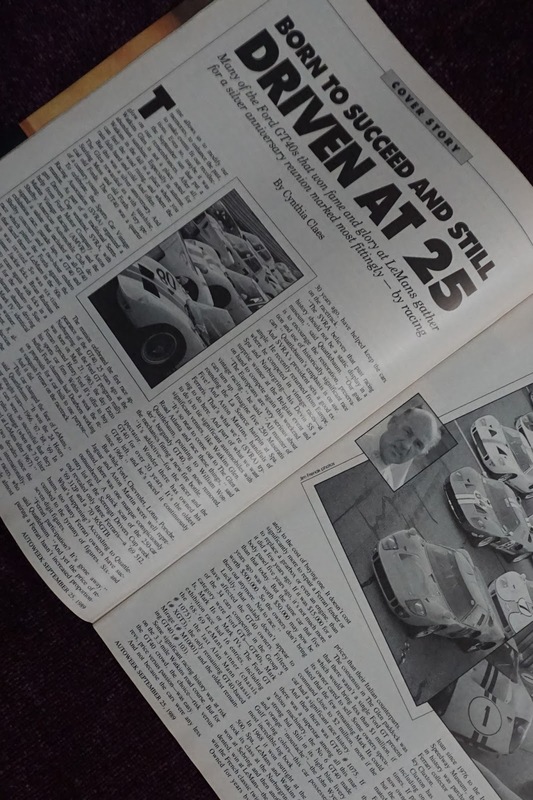 So what is so special about the GT 40? 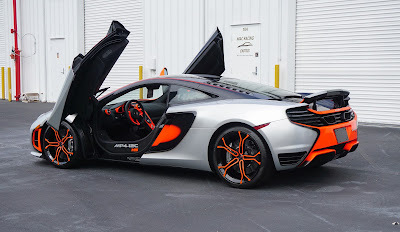 Besides beating Ferrari at le Mans, it is in my opinion one of the most beautiful cars in the world- ever. That the GT 40 is still contemporary looking decades later is a testament to the beauty of its design. 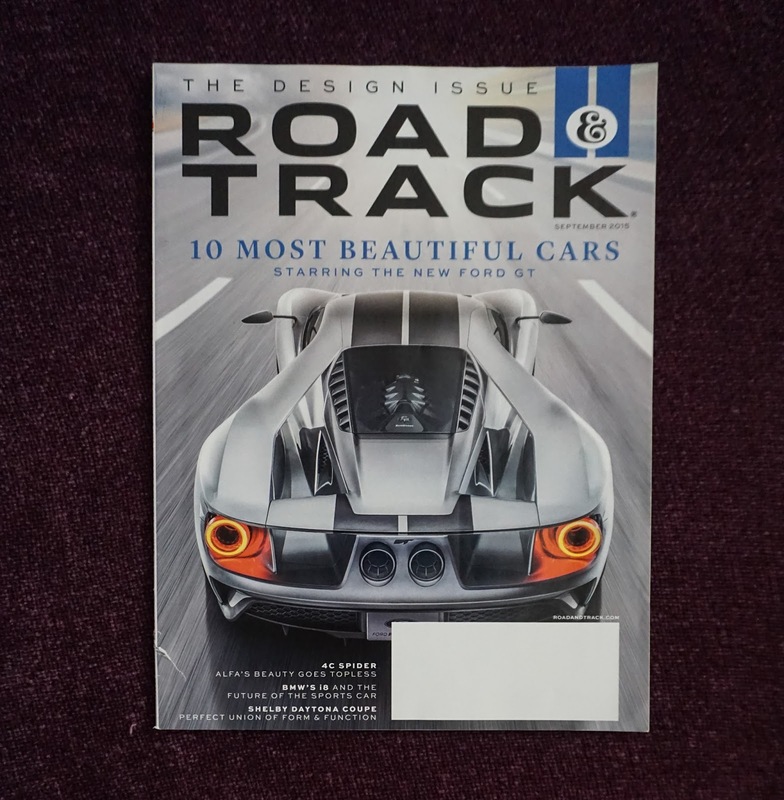 And to continue the tradition, the new Ford GT is another knock out. 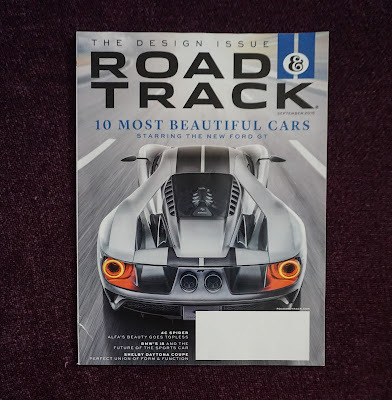 Here's some pictures and links to some really great videos about the Ford GT 40. Be sure to play the videos on the links below- it's worth your time. Get ready for racing - the Rolex 24 Hour begins the season January 30th. This is a quick post after I made a quick visit to Mac Exotic Car Storage in Sarasota, FL to attend a rally and private car show event organized by SoFlo Exotics car club. 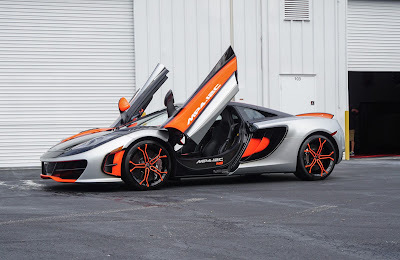 Here's a very special McLaren MP4-12C High Speed Operations Car with Vodafone F1 colors. 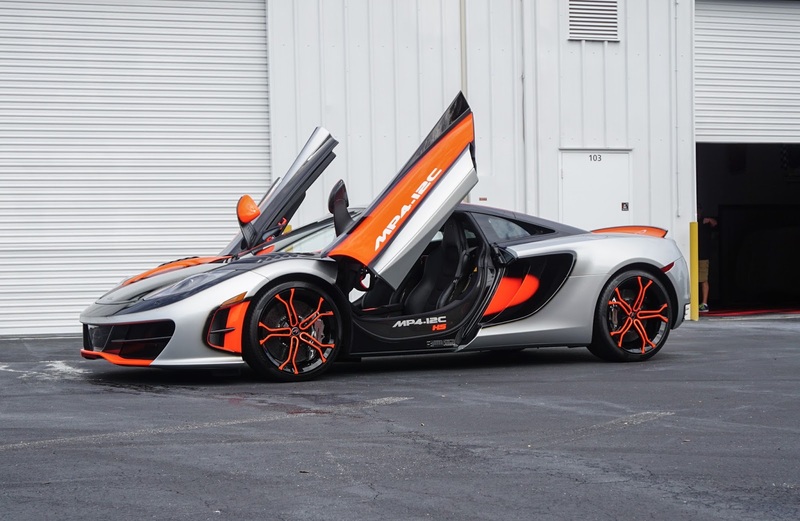 In fact it is the world's only MP4-12C in that color scheme according to SoFlo Exotics. 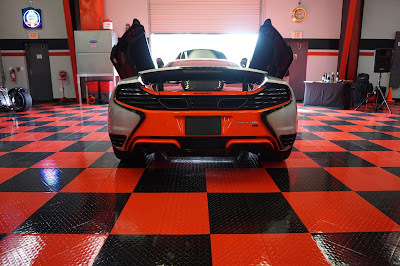 I found Max Exotic Car Storage to be the place to keep your ride safe and in a climate controlled environment with some really nice examples of fine automobiles. It reminds me of the days back in the '70's when I had a full time dream job of detailing over 30 Rolls and Bentleys for Palmyra Motors which was one of the largest Rolls and Bentley dealers the country at that time. 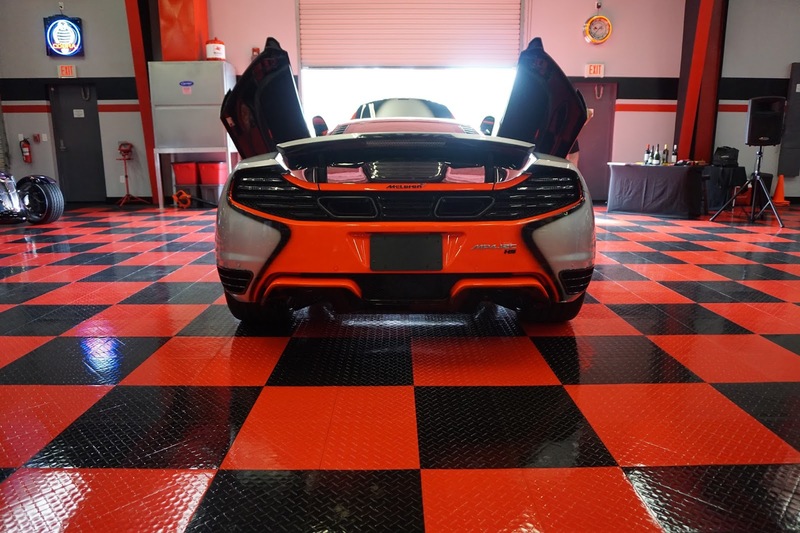 Their facility was called 'The factory' which was three miles outside the small town of Palmyra, NY. Some of my future posts will carry stories from that experience in the summer of 1974. 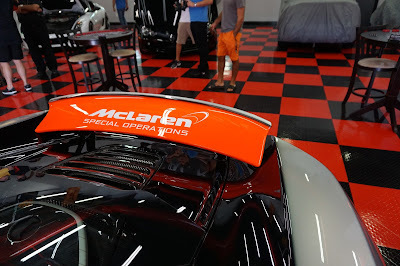 'The factory' was nice, but it had none of the security and climate controls found at Mac Exotic Car Storage! 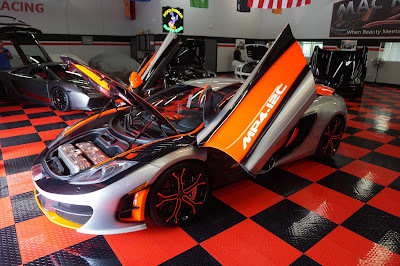 When you have time check out Mac Exotic Car Storage and SoFlo Exotics on the web at MacExoticCarStorage.com and SoFloExotics.com. Meanwhile, check out these pictures of a one of a kind McLaren!